I was able to find a lot about my actual roots the past few months. My biological mother's name is Ruby Mae Halfacre, and I have that on very good authority. For the source of my information was a friend of Ruby's and was actually there in the hospital at the time of my birth. The identity of my biological father is still a little iffy, but I am 99% sure that it is V.L. Sullivan. 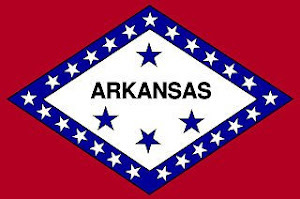 It will be about another year before Arkansas is ready to release original birth certificates. Ruby Mae Halfacre was born on November 15, 1928 in Swifton, Arkansas, which is a small town a few miles from Newport in Jackson County. She physically died on April 28, 1980 in Newport. It is rather interesting to me that she died on Sam (my first wife) and I's third wedding anniversary and a little less than a month before our oldest daughter's (Vicki) second birthday. Ruby's father was also born in Arkansas on November 24, which is the day I was born on. Although, her father was born in 1878 while I was born in 1957. He physically died on October 23, 1936 in Jackson County, Arkansas (a day after my adoptive mom's 10th birthday). Ironically, Ruby married Howard Halfacre, who must have been a cousin (at least I really hope). They had several children together, and then he physically died in 1950. So, he could not be my biological father. Sometime between 1950 and 1955, Ruby and V.L. Sullivan hooked up. For they had a son by the name of Jimmy in 1955. If they were ever married, she did not take his last name, and they stayed together until her death in 1980. V.L. was born on March 8, 1914. I failed to find where. He physically died on November 29, 1989 and is buried next to Ruby in Auverge a few miles outside of Newport. I failed to find a bunch of things about V.L.—including even what V.L. Stands for. I hope to get in touch with my supposed older brother someday to fill in the blanks about both of our biological parents. I know that he drove a school bus in the Newport district for many years, but I have not been able to find a good telephone number for him so far. Going down there is completely out of the question with Arlynda and I being in such poor physical health. Since Jimmy was merely two years-old at the time of my birth, He probably has no idea that I exist. Subsequently, he would not have any idea why they did not keep me, but it seems fairly clear to me. For V.L. would have been 43 at the time of my birth and Ruby 39. With them already having lived a rather rough life, along with having a two year-old at home, they probably just did not feel like they had the wherewithal to care for another baby. By the way, I rather like the idea of actually being physically born a Sullivan. For I found that the solidly Irish name comes from a word in an old, old form of Irish Gaelic that means hawk-eyed. As I have said on a number of occasions, I was created to be our Heavenly Father's Fishhawk, who is an aggressive fisher of men (and women, of course). The aggressiveness has waned considerably since 1993, but the desire to introduce as many as possible to our Heavenly Father (starting with those who believe they already know Him well) still burns like a raging inferno in my heart.